Our new Grill Kit is a more affordable option! Everything you need to get grilling at a discounted price of $857.00 plus free shipping . 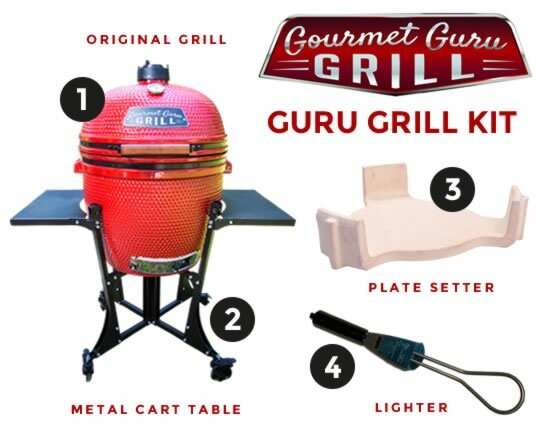 Kit includes our Original Guru Grill, the new Metal Cart Table, Plate Setter and Electric Lighter. A great deal with all you'll need to grill up your favorites.